India-Pak cricket – Does winning matter? Remembering that sporting allegiances does not necessarily reflect 'nation-state' allegiance, the spectators of Kashmir are perfectly placed to be neutral. One even wishes for an extension or elaboration of the IPL to cover federal states throughout the sub-continent. To ardent supporters of India and Pakistan, winning a cricket match against their arch foes provides as much satisfaction as winning a war on the battlefield. There are in fact many 'nation-state' related metaphors used by commentators and spectators alike that try to grasp the intensity of feeling whenever the two cricketing nations meet on a 20.12 metre pitch. In one's opinion, the spectacle of sporting contest that ensues is one of the few positive dividends of the fractious 1947 partition. What one finds so heartening and almost liberating for over 1.3 billion potential spectators of the region is the transition from a sustained cold-war status between the two countries to an almost festive like approach to life; enabling the region to physically interact as closely as is politically possible. The fact that today's match is being played barely 221 kilometres from the Wagah-Attari border in the divided Punjab, adds extra spice to the joviality that Punjabis (of either side) are well capable of. Even the earth must be heaving a sigh of relief that those humans who tread it, have been given somewhat of an opportunity to traverse a forbidden path that nature deemed to be open. This is not to undermine the ability of this fixture to present a political opportunity for nature to be restored. In line with various other confidence-building measures that have emerged of late (including a six-month permit for multiple-entry access across the LOC in Kashmir), Manmohan Singh took little time or hesitation in inviting Pakistan's Prime Minister and President to come and watch the match with him. While his direct counterpart accepted the offer, it is quite possible that Zardari's fascination for horses and camels prevented him from joining the party. This is also not the first instance of 'cricket diplomacy'. 1987 witnessed Rajiv Gandhi and General Zia-ul-Haq do it at a test match in Jaipur. 2005 saw Manmohan Singh and General Musharraf do it at a one-day match in Delhi. Indeed, the General came to watch two matches in Pakistan between the two teams in a contest dubbed as the 'goodwill series' in 2004. One remembers that episode of cricket diplomacy from personal experience whilst covering events for a British newspaper. Not only was there great camaraderie displayed by both sets of fans, many journalists were excitedly gushing about the abnormally high instances of interaction between various Indian and Pakistani politicians during the series. General Musharraf quite obviously placed high value on cricket diplomacy because in 2006, despite India's win he took the effort of 'barging' into the presentation ceremony to not only facilitate India's performance but to recommend Mahendra Singh Dhoni not forego his then hippie-like hairstyle! Coming closer to the cricket and Kashmir, there is little doubt that Muslims in our region have traditionally supported Pakistan and vehemently so. It should also be stated that the Hindus of our region have displayed similar support for India. Remembering one's own childhood growing up in Britain and much before the advent of satellite/cable and internet, short-wave (SW) radio was the only live means of tracking Pakistan's progress. Those of us who were avid followers or even relative 'connoisseurs' of Pakistan's cricketing fortunes didn't think much of the time difference, whether Pakistan were playing in New Zealand or the West Indies. Pakistan's world cup victory in 1992 had about 50 of us huddled in a room from around 4am to midday, watching on what was then uncommon satellite TV. The subsequent 'flag charge' to our local town had very few Pakistanis from Pakistan proper. Most of us were kashmiris jubilant at Pakistan's victory. That was then and now is now. Though most Kashmiris in Britain still keenly support Pakistan, as do Kashmiris of the Valley; increased political awareness hasn't really been reflected in a shift of sporting allegiance. The vagaries of Pakistan's cricketing fortunes, more often than not associated with corruption and not unlike how Pakistani society in general operates, has left deep scars on many a committed supporter. Structural issues such as unfulfilled potential, nepotism, intra-team wrangling and a clear refutation of long-heeded advice to develop a competitive domestic structure, have constantly irked genuine well-wishers of Pakistani cricket. It's unpredictability on the cricket field is as agonising as it is exciting for the neutral observer. Recognising that cricket interaction has at least some positive effect on diplomacy, the ability of the internet to further coalesce sentiments of togetherness has proved phenomenal. Facebook groups in which members promise to support the winner in the final is a surprising example of that. One has even heard of some Indians fans (in a touch of spirituality perhaps) giving up their tickets for guests from Pakistan. In a quote from the Times of India, a Haridwar educated 18 year old by the name of Ranjai Sodhi offered wisdom much beyond his years when he explained, ''Offering your seat or possessions to somebody whom people have branded your enemy, is a journey to destroy stereotypes to explore peace, friendship and love.'' One wonders if a maddrasah educated Pakistani would perform a similar gesture given similar circumstances? There have been attempts to counter the above examples with traditional rants of demanding religious allegiance but it seems the sway of the 'net' is thankfully far too overwhelming for traditional propaganda to be effective. The only disadvantage is that the gusto generated by an India vs. Pakistan World Cup semi-final - being played barely a few hours drive from their common border – is probably destined to have an ephemeral effect on the politics of the region. What is encouraging nevertheless is a quote from Pakistan's in-form seamer Umar Gul on cricinfo(.com) who felt a 'real-life' urge to momentarily move beyond the crucial consequences of the match when he described the event as bringing, "both countries closer, it's very good not only for the players but also for both countries." In one's opinion, if the notion of a loss of pride is associated with defeat by any of the competing teams or their supporters, the 'windfall' diplomatic gains associated with this event could be diluted. Taking it as a sport which enables humanity to exert their physical and mental capabilities in a genuinely healthy and non-destructive manner should be the approach. There could be no better alternative to battling one's wits on a battlefield where the venue takes more out of the local population than it does those that represent that enmity viz. Kashmir. In sport, the venue probably acccrues the most benefit from the event. The contrast between sport and war is that stark. Remembering that sporting allegiances does not necessarily reflect 'nation-state' allegiance, the spectators of Kashmir are perfectly placed to be neutral. One even wishes for an extension or elaboration of the IPL to cover federal states throughout the sub-continent. The excitement surrounding an India -Pakistan cricket match also has something to do with the insatiable appetite of the region for the sport, regularly repressed by a lack of action throughout the region. This event and a sense of regularity attached to such, holds far more significance than who wins and who loses. Whenever discussion of human rights is evoked, dictatorships as much as democracies and liberals as much as extremists appear to 'talk the talk'. Demanding the standard by one particular religious group usually appears to negate the standard expected by the other religious group. It is a given that writing involves delving into the forbidden. Common discussion in bazaars and between friends at home do little more than scratch the surface of the most contentious issues of our times. Irrespective of our religious persuasion, we rarely introspect and dig deeper into our souls to find formulae that can liberate us from using our religious identity as the basis for determining the state of human rights in our region. Whenever discussion of human rights is evoked, dictatorships as much as democracies and liberals as much as extremists appear to 'talk the talk'. Demanding the standard by one particular religious group usually appears to negate the standard expected by the other religious group. The Hindu Pandit / Muslim divide in the Kashmir Valley appears to be a case in point. The former's exodus from the Valley was considered by many to be in aid of protecting Hindu lives (their human rights) while Muslim Kashmiris were exposed to mass violations of those very rights. The Muslims of what subsequently became known as AJK, thought they were protecting their human rights in late 1947 when they killed, forcibly converted or forced Hindus and Sikhs to flee from their ancestral homes to the Eastern side of the LOC. The exploitation of religious identity to claim human rights is further obfuscated by the lack of distinction between human rights, human needs and human wants. What constitutes a genuine need or want does not automatically translate into a right. It doesn't necessarily follow that wanting to have a better car or house constitutes a right. It needs to be qualified by an effort, entitlement and confirmation that the rights of (an) other are not violated in the process. The right to self-determine one's political future using whatever democratic means possible is of course a human right enshrined in the UN Charter of 1945. The issue should not be the right per se but in how the exercising of that by one community impinges on others. This is the juncture where religious identity takes over the discussion as well as momentum of what is essentially a genuine need, want and right. Developing a discourse that promotes tolerance of differing values is a must before one can envisage people of different religious persuasion being persuaded to co-exist for the collective good in a given territory. The task underhand throughout the erstwhile Dogra State of Jammu and kashmir is immense; when you consider how human rights (and indeed political rights) have been selectively applied depending mainly on religious identity. The various Shia sects in Gilgit Baltistan consider their human rights to be repeatedly violated by the minority Sunni community under Pakistani State sponsorship. The Shia in Kargil feel a difference in applicability of human rights by the Indian government to them as compared to the Buddhists of Leh or the Sunnis of the Valley. The Hindus of Jammu feel aggrieved at the constant attention given to the Muslims of the Valley. The Dalits feel they are marginalised by the upper-caste Hindus. Remaining in Jammu, the Hindus from Rajouri and Poonch feel they are given less opportunity than Kashmiri Pandit migrants in the city. Muslims in Jammu have their own version of discrimination to tell. 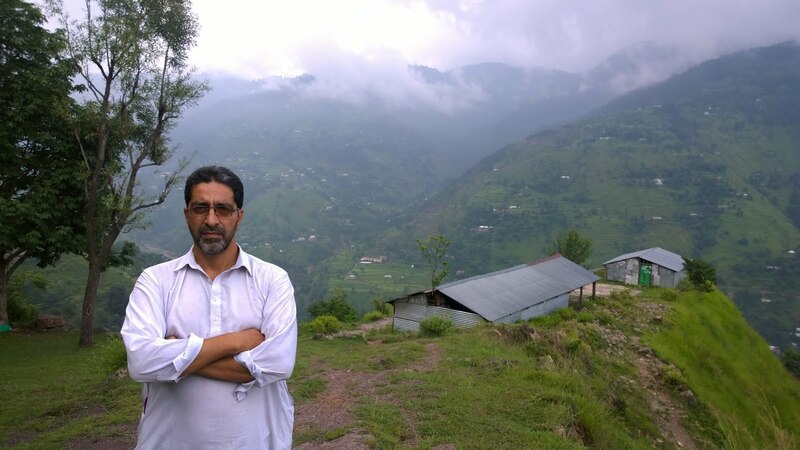 Progressive Muslims in AJK have a stark divergence of opinion with their more extreme, exclusivist compatriots who have a fixation with the human rights violations of the Kashmiri Sunni Muslims of the Valley. Bubbling above these deep divisions of selective human rights (mainly related to religious identity), is a comprehensive set of issues that need to be collectively tackled. The cost of parochial notions of human rights repeatedly throws 'the baby out with the bathwater'. What suffers is the collective potential of the economy, standards of education, health, infrastructure, how to combat environmental impacts of modernisation. Indeed, governance as a whole loses it's bearings as it adheres to the whims and fancies or plays to the fears of various religious groups. India and Pakistan may have derived some utility from adopting such measures in the past but in an increasingly transparent age, the collective loss to the State of Jammu and Kashmir is becoming clearer by the day. While aspirations of re-uniting the State to it's original position as on the 16th of August 1947 are still a pipe-dream, deriving a purposeful combination that takes influence from universal human rights as well as (all) religion(s) to develop a charter of rights and reponsibilities for every citizen could be the way out of our current imbroglio. In an open information age when every religion and indeed civilisation can make a claim to superiority, it is imperative that all religions are given due prominence where they initiate ideas of human flourishment and longevity of the planet. In other words, where human rights capture the common code of rights applicable to everybody, religion contributes to the creative discourse on reponsibilities. Everybody will not adhere to a particular religion (or even a particular version of such) but religions throughout the world can help humanity immensely by agreeing on and adopting a universal declaration of human rights. In short, human rights can promote the 'right' to freedom of religion while religion can promote the 'responsibility' to enforce freedom of religion. If our society fails to break out of these shackles, then each religious identity will search for it's regional/global partners to deliver it from the violations and lack of opportunity perpetrated by the other. Then no nation state will remain a nation state but a local proxy of a wider interest. That in itself has destabilising connotations as exemplifed throughout history. Lebanon's story is before us. A more current example is the manner in which the Bahraini resistance movement for greater freedom, opportunity and rights is gradually being drawn into a Shia-Sunni struggle. The minority ruling Sunnis have received assistance from Saudi Arabia while the resistance is alleged to be acting under Shia Iran's dictations. What is clear is the supposed attraction of being linked to co-religionists afar. During the late 1980's, it appeared unquestionably clear to most Muslims of AJK and Pakistan that fighting 'Hindu' India was a must, just as much as it was clear for Pakistan and Saudi Arabia in the early 1980's to assist the U.S. in it's fight against the Soviet infidel in Afghanistan. In a similar vein, the Hindus and Sikhs of AJK felt no option but to seek refuge amongst Indian troops in late 1947. The backlash against them was a collective response, supposedly for the injustice meted out to Muslims under a series of Hindu kings. Subscribing to mob rule in a given environment comes so easily to human beings. Creating an environment which enables people to rise above that temptation is crucial. The rest is a matter of economics, governance and resource utilisation. Finishing with history, it was important for the Hindus and Sikhs of the State to support the change in nomenclature from the Muslim Conference to the National Conference in 1938 and assist the State in a move towards universal suffrage. That didn't happen. This further bolstered or even re-invigorated the desire amongst many Muslims to seek deliverance from the Muslim Conference via the Muslim League and Pakistan. The State remains divided and what is divided doesn't develop. This article was first published in Rising Kashmir (a Srinagar-based English daily) on the 23rd of March 2011. The material written in this article took some inspiration from Arvind Sharma - who is Birks Professor in Comparative Religion at McGill University in Montreal Canada. I am pleased to convey that Kashmir's top most intellectual and educationist Dr Agha Ashraf Ali has complimented you for today's article. He called me up and said "I am thrilled to see such a brilliant piece which has set an entirely new discourse on the subject". I was myself overwhelmed to hear that and thought I should share it with you. I then received an email from one of the most eminent scholars of Jammu, namely the late Balraj Puri. I read your articles with great interest. But may I comment on your latest article in which you suggest that Hindus of the State should have joined Sheikh Abdullah when he converted Muslim Conference into National Conference. The fact is that the Sheikh was hero of Kashmiri nationalism, including Hindus. But he had absolutely no appeal with Hindus and Muslims of Jammu. Two Jammu leaders S. Budh Singh and Chaudhary Ghulam Abbas had, in fact, took the initiative to approach the Sheikh with a proposal to convert the party into the National Conference and under a Gentleman’s Agreement it was decided that the presidentship of the party would rotate every year. But in practice it was not honoured. No secular national party encouraged Jammu leaders. They therefore reverted to religious parties. The divide in the state was thus more on regional than religious lines. Noticing that there is a grand conflicting interplay between two emerging economic powers (India and China) combined with the dilemma of a superpower (U.S.A.) that has invested so much in the region and not forgetting the tussle between arch-rivals India and Pakistan, this has all the ingredients of a major conflagration at some point. The anti-totalitarian sentiment that has swept North Africa is such a focal point of global discussion, so much so that reverberations of mass protest have been felt in Beijing too. Whilst it is clear that the great Chinese behemoth is in no mood to relent to democratic aspirations amongst it's citizens, it is equally clear that it has delivered economic opportunity, education and healthcare on a scale much greater than any of it's immediate neighbours in South/Central Asia. Therein lies one of the many conundrums that characterise the ascent of China as a major global power. After more than a century of external interference and intrigue into it's affairs, the region that had historically enjoyed high volumes of trade with the rest of the world, re-merged as the People's Republic of China on the 1st of October 1949, under the chairmanship of Mao Zedong. China's relationship with India and Pakistan since, hasn't resembled a straightforward, linear curve. The appellation of brother, though now firmly attached to the China-Pakistan friendship was initially invoked to describe the relationship between India and China. That changed during the 1962 Indo-China War that resulted from China's incursion into Aksai-Chin, ostensibly to build a highway. It should be elaborated here that though the territory cited above (14,380 sq miles) was a part of the erstwhile Dogra State of Jammu and Kashmir, the Chinese had never accepted the British-negotiated boundary in the 19th century. This loss of territory by India seemed to have a positive impact on Sino-Pak relations subsequently, to the extent that Pakistan decided to unilaterally cede further Kashmiri territory to China in the shape of the Trans-Karakoram Tract (2,239 sq miles) in the following year viz. 1963. Needless to add, the accompanying border agreement between China and Pakistan wasn't recognised by India. Even less needless to add, is the absence of consultation with the Kashmiri public. The 1960's had further intrigues in store that affected the India-Pakistan-China triangle. For example, in the 1965 Indo-Pak War, China is reported to have gone as far as threatening to open a second front against India. Earlier, there is evidence to suggest that China had made 'diplomatic' efforts to woo the Kashmiri political leadership on either side of the LOC, to militarily oust India from the Kashmir Valley. In seperate instances, the Chinese conducted talks directly with Sheikh Abdullah, with a representative of K.H. Khursheed and directly with Sardar Qayoom and Abdul Khaliq Ansari. The idea was to send batches of youth to China for training, once a batch had been prepared, it would be followed by another. Apparently, the reason cited for breakdown of talks on this side of the LOC was that contrary to Chinese insistence not to involve Pakistan in the scheme, at least one of the members decided that seeking advice from Pakistan was unavoidable. form of bulwark against the rise of China. On China's part, they inevitably saw increasing strategic mileage in bolstering Pakistan and making efforts to constrain India. Redressing the balance of power by aiding Pakistan in it's efforts to acquire nuclear weapons and missile technology was a move in this direction. China has also - almost - managed to deftly utilise soft and smart power to achieve what Soviet Russia couldn't do with a military juggernaut in the 1980's. Namely, to access the warm waters of the Gulf by taking the burden of infrastructure building from the Pakistanis. This move also complicates if not stutters American interests in Pakistan. The Sino-Pak relationship also enjoys the blessings of the right-wing 'Islamist' brigade that in normal circumstances wishes to disrupt any relationship between Muslims and Non-Muslims. How does all the above relate to Kashmir? Noticing that there is a grand conflicting interplay between two emerging economic powers (India and China) combined with the dilemma of a superpower (U.S.A.) that has invested so much in the region and not forgetting the tussle between arch-rivals India and Pakistan, this has all the ingredients of a major conflagration at some point. The starting point of potential conflagration would be the region of Gilgit Baltistan. It is highly unlikely that India and the U.S. would be comfortable with a road and possible rail link between China and the Arabian Sea. It is little wonder that the Pakistanis (and Chinese) are nervous about current discussions taking place in the U.S. about increasing Chinese 'encroachment' into the Gilgit Baltistan region and a rumour that activists - hailing from this region in exile - have been given the green signal by the Americans to move for an independent State. Judging from comments made by various Pakistanis on the issue, it seems they still have trouble linking the denial of constitutional and economic rights to the people of Gilgit Baltistan, in relation to how they perceive Pakistan's presence. That matters little to China but if Pakistan considers itself a democracy, it has to relent to the collective decision of the people in the region. It cannot simply assert what it perceives to be it's national interest and expect the public of Gilgit Baltistan to simply adhere. Pakistan hasn't felt any compulsion to ask the Chinese to employ maximum local labour and transfer technology wherever it is building roads, tunnels and bridges in the region. That would not suit it's interests. The Pakistanis are happy to enjoy royalties - shared by a corrupt few – for the simple task of allocating work and territory to the Chinese. If the people of Gilgit Baltistan had constitutional and economic rights (by extension – independence) the scenario that is emerging would be difficult to imagine. Similar arguments can be made with reference to Chinese infrastructure work being carried out in Pakistani-administered Kashmir. While the governments of India, China, Pakistan and the U.S. for that matter, continue to trade, conduct infrastructure-building agreements and apply self-fulfilling policies: the rage and bubbling lava that emanates from the absence of a clear, constitutional and self-determined existence for the territory bounded into the 'Kashmir Issue', continues to rise incessantly. While all the aforementioned sovereign countries continue indulging in their strategic calculations minus the aspirations of the people that reside in these territories, the concept of a neutral Kashmir becomes increasingly rational. China's increasing water shortages and rapid desertification give further explanation for their forays into the 3rd pole. Their incursions into Ladakh have gained further momentum as they secure an increasing share of territory in Gilgit Baltistan. While the presence of India, Pakistan and the U.S. in the region may be curtailed - at least in theory – using democratic means of resistance, it is a challenging thought to comprehend as to how authoritarian Chinese presence in the region could be controlled. Engaging the international community would be imperative as engaging the Chinese in one's experience has thus far proved to be futile. For those in our region who see the beneficial aspects of China's relationship with Pakistan (be it economic, to counter America and/or India) and praise China's tactic to issue stapled visas to travelers from the Kashmir Valley, should understand that though in the short-term, it may appear as if China's role in Kashmir is benevolent, it is highly unlikely that a country that doesn't respect the freedom of it's own people is going to subscribe to the aspirations of freedom of it's neighbours.